Despite many reports were suggesting a complete redesign for the next year, it looks like the company will stick to its six-year production cycle, so we will have to wait for a little bit more the see a new model, which will be based on the recently redesigned Toyota RAV4. Until then, the current generation will carry on without bigger changes, which includes its hybrid version as well. The 2020 Lexus NX 300h will continue in the same way, featuring familiar design and overall characteristics, including its familiar hybrid system that is based on a four-cylinder engine. However, this doesn’t mean there won’t be any change for the upcoming model. We expect to see a couple of additions in terms of new standard equipment, maybe even more than usual, due to the fact that this should be the last production year of the current generation. Also, we could see a couple of new color options in the offer. The current generation of this compact luxury crossover has been around for some time. So, it’s no wonder it features a little bit old design. This particularly refers to the platform, as it rides on the previous-generation, New MC architecture. Therefore, it’s not surprising that driving dynamics aren’t on the level you would normally expect from a luxurious crossover these days. Still, the overall ride quality is great, mainly because of a super-quiet engine sound and soft suspension setup. Besides great comfort, this crossover also offers pretty aesthetics. 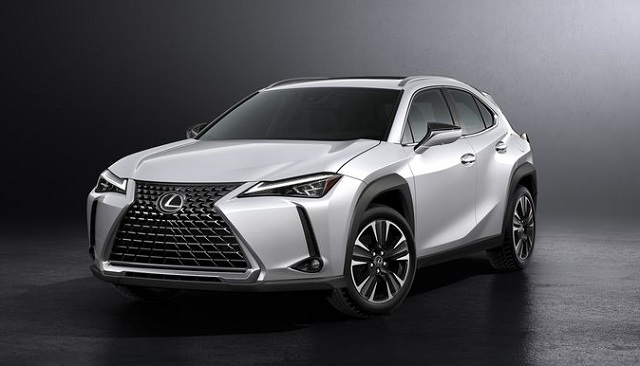 Despite 2020, Lexus NX 300h redesign won’t happen, the upcoming model will feature some design solutions that characterize new Lexus models, including a pretty fresh-looking layout of the famous spindle grille. As we already mentioned, the next year won’t bring any important change, though we could easily see novelties in terms of new exterior color options. While some aspects of this crossover may look a little bit old, the interior is still pretty amazing. Typically for Lexus, the cabin quality is excellent. All areas feature soft-touch, hi-quality materials, while the dashboard looks very attractive. Everything looks great, while controls are generally functional, except for the infotainment system, which comes with the infamous Remote Touch control, which works pretty much like a laptop. We hope the company will drop such design and offer a typical touchscreen in the next-generation model. On the other side, the overall comfort is pretty good. Fron seats are very massive and supportive. Also, adjustability is great, so you won’t have any problem to find perfect driving positions. The rear bench is spacious as well, with plenty of leg and headroom. Finally, there is a cargo area, which may not be the largest in class, but still offers relatively decent 17 cubic feet behind rear seats. As we already mentioned, the Remote Touch infotainment system is probably the biggest frustration of every NX Hybrid driver. However, we have to say the list of standard tech features is quite long. All versions feature goodies like Wi-Fi hot spot, Bluetooth, a USB port, an eight-speaker audio system, HD Radio, satellite radio etc. An 8-inch display is standard, while a bigger 10.2-inch screen is also available. Other available features are additional USB ports, a navigation system, 10-speaker sound system, moonroof and many more. 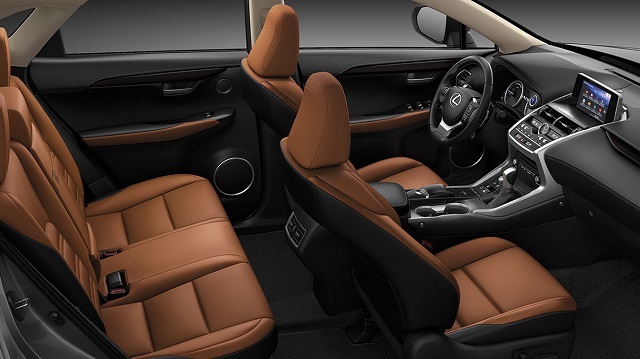 A five-star overall crash test rating is something you can definitely count on with the 2020 Lexus NX 300h. Also, there is a generous list of standard safety features, which includes things like pre-collision system with pedestrian detection, lane departure warning, lane keep assist, adaptive cruise control, automatic high beams etc. Things like a birds-eye-view camera system, parking sensors with automatic braking, blind spot monitoring, rear cross traffic alert are just some of the available advanced driver aids. This aspect definitely won’t’ bring any change. The upcoming model will continue with a familiar system that is based on a 2.5-liter four-cylinder engine, which comes coupled with an electric motor, for a total output of 194 horsepower. Such an amount of power won’t give you any spectacular performances, but it is definitely enough for a daily ride. Transmission is a familiar CVT, which ensures a pretty smooth ride. It is good to mention that the 2020 Lexus NX 300h AWD will be standard. When it comes to the 2020 Lexus NX 300h mpg ratings, this model definitely doesn’t need a special introduction. It is an absolute class leader in terms of fuel economy with pretty impressive 33 mpg in the city and 30 mpg on the highway. Considering that there are no bigger changes to come, the new model should hit the market sometime late in the year. When it comes to the 2020 Lexus NX 300h price, base models will go around 39.000 dollars.